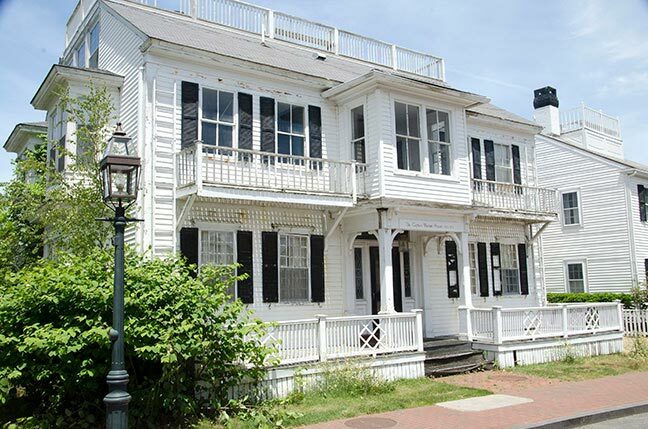 Edgartown selectmen have rejected the only bid for the Captain Warren house, a historic property on North Water Street that the town bought as part of an abandoned plan to enlarge the town library but now wants to sell. The selectmen voted Monday to re-advertise for buyers, this time with a minimum asking price of $2.3 million and an offer to brokers of a three percent commission. Selectmen spurned the two-part bid of between $1 and $1.25 million after meeting privately with town counsel Ronald Rappaport. Local businesswoman Maggie White and seasonal residents Nancy Kramer and Christopher Celeste offered town officials either a cash deal for $1.25 million or a payment of $1 million, with a 40 percent profit-share to be paid to Edgartown by spring 2015. The bidders planned to rehab and sell the house. Margaret Serpa, chairman of the selectmen, said the group’s bid did not meet financial obligations the town has shouldered. The town bought the historic building at 62 North Water Street for $3.5 million in 2004, planning to use the property to expand the Edgartown Library. The town set aside that plan, partly because of criticism from the state’s library funding authorities, and settled on a new plan, now underway, to build a new library in the vacant former Edgartown School. The town continues to pay interest on the money it borrowed to buy the Warren House. The historic building was first put on the market last fall seeking a minimum bid of $2.5 million, but there were no offers. The most recent request for bids set no minimum, but only elicited the two-part bid that selectmen rejected. This week, town officials professed optimism. Newspaper reports had generated new interest in the property, town administrator Pam Dolby said. Selectmen also agreed Monday to seek private contracts for rodent and skunk control in Edgartown. The decision follows an announcement last week that Dukes County will suspend its Integrated Pest Management (IPM) program at the end of the month because not all the towns had agreed to share the costs of the program. The county plans to seek private bids for the services the county department now provides. Monday, Edgartown selectmen decided not to participate in the county bid process. Instead, Edgartown, which pays the lion’s share of the county assessment and had paid the largest share of the IPM program, will issue its own RFP. Ms. Dolby told selectmen that the town has a problem with skunks in the downtown area in the summertime. 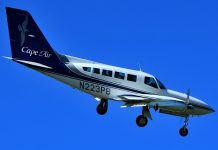 She said the town will seek a one-year agreement for private pest control and might reconsider using county services next year, if the county program proves cost-effective. The county IPM program focused primarily on rats. Last December, Edgartown selectmen highlighted the downtown skunk problem, but county officials said that controlling skunks would be cost prohibitive. This year Dukes County assessed Edgartown taxpayers $244,997 to fund its $1,814,178 operating budget for the current year. Edgartown paid the largest share of the additional IPM charge, $19,737. Also Monday, selectmen agreed to sign a memorandum of understanding between the Coast Guard and the Edgartown Police that formalizes the working relationship under which each law enforcement entity will provide assistance and support to the other, for example, if Coast Guardsmen should accompany Edgartown police officers during patrols in Edgartown Harbor in the town’s recently acquired patrol boat. Edgartown police Chief Tony Bettencourt said each of the 11 people in the town patrol boat program had received approximately 70 hours of training from the Coast Guard, at no cost to the town. In other business, selectmen also approved a change of manager for Espresso Love and a one-day license to serve beer and wine at the Possible Dreams Auction on July 28.